The specifications of the phone are damn good considering the price at which it&apos;s being offered. The only thing that this phone lacks is battery life. Despite the high wattage of its battery, it fails to sustain for long durations. The flagship Killer is one of the best phone out in the market for its price range. the experience has been good so far. value for money phone. has to visit the service centre for the charging cord & the service is good. The phone is one of the best if not the best phones I have ever used in my life.The specifications are very good we get a Snapdragon 820 and 4 GB of RAM.what more could one ask In a phone under the 25k range. The battery optimisation could have been better​. The fingerprint sensor has been reported by many users to become faulty after some time.although there fixes have been posted in online forums the company needs to address this issue by a OTA to ensure the integrity. 16 Pricebaba users have written their experience with OnePlus 2 64 GB. 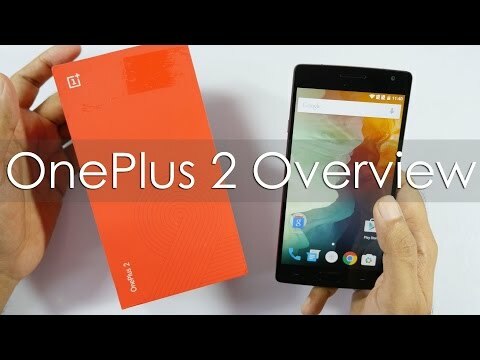 If you own OnePlus 2 64 GB, please do leave your feedback too. OnePlus Two or the OnePlus 2 is the much hyped successor to the OnePlus One, the original flagship killer. While the OnePlus 2 did not live to the moniker of a Flagship Killer, it turned out to be a pretty solid overall device with top of the line hardware and pretty average software. There are a couple of glaring missing hardware features in the phone, including no 2K display, no expansion slot for MicroSD card and lack of NFC connectivity. On the upside, the OnePlus Two comes with a fingerprint scanner, like the Galaxy S6 and the iPhone 6 Plus, though the design of the same is unique in between the two aforementioned devices. Just like the OnePlus One, the OnePlus Two is available in both 16GB and 64GB variants. For now though, only the 64GB Sandstone Black version is available with the 16GB one stated to be coming soon. A 5.5 inch LTPS LCD capacitive display with 16 Million colours with a 1080P resolution ably protected by Corning Corilla Glass. Thanks to its 175 gram weight, the OnePlus Two is not going to be winning any lightweight awards. The phone is a fairly chunky device too with a thickness of 9.9 mm. OnePlus 2 supports Dual SIM with Dual Standby, with both the SIMs capable of supporting LTE bands in India. The OnePlus Two is powered by a Snapdragon 810 SoC with Adreno 430 GPU. 64 GB internal memory variant of the devices comes with 4GB of RAM while the 16GB version will get 3GB of RAM. Talking about the camera, the rear unit has a 13 MP sensor with OIS, laser autofocus and dual-LED flash while the front facing camera is 5 MP with support for 1080P video recording. It is also the first phone to officially bring the USB Type C port to a smartphone. Ans: No, it has 2 slots for SIMs and no slot for microSD card. Ans: Yes OnePlus phones usually get Android updates and this phone shall be no exception. Ans: It has a 5MP selfie camera so one can expect a decent image quality for selfies but nothing extra-ordinary. 8. How much time does OnePlus 2 take to charge? Ans: The OnePlus 2 charges up fully in around 1 hour 40 minutes.